“What’s a mesocosm?” people may wonder. 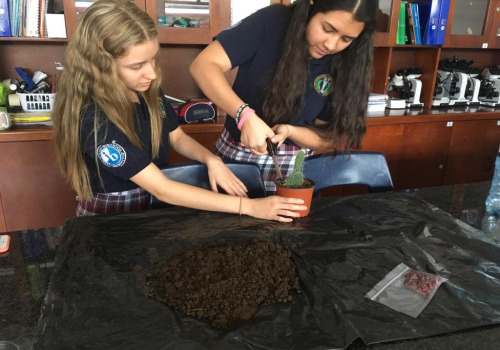 This month, we were just building mesocosms up with different materials: plastic bottles or mason jars, soil, cotton, small stones, plants and mosses. Our goal is to create a self-sufficient natural environment, powered by the circulation of water within the sealed container. For this, plants were the main characters of these medium-sized habitats, as the process of photosynthesis will eventually help to produce the sustainability we are looking for. Creativity was once again used to display the mesocosms in the nicest way possible, aesthetically talking. With this being explained, we shall be waiting for the results within approximately two months, and we will then discover if they have survived or not. Indeed, a very interesting project for us.